Hello all. Three random offerings here – details and links below. APM Reports, the documentary and investigative arm of American Public Media is hiring for its 9 month fellowship program for early career radio producers. https://americanpublicmedia.applicantpro.com/jobs/643317.html The fellow will mostly be working with APM Reports' education documentary and podcast team but with some opportunity to work on other projects as well. Hey folks. First – sorry about that extra post yesterday. I had a mailchimp hiccup. Second, see below for the latest call for submissions from California Humanities. They fund a lot of great indie projects. Go for it! California Humanities is pleased to announce the 2017 deadline for the California Documentary Project (CDP), a competitive grant program that supports the research and development and production stages of film, audio, and digital media projects that seek to document California in all its complexity. Projects should use the humanities to provide context, depth, and perspective, be suitable for California and national audiences, and seek to reach, inform and engage broad audiences through multiple means, including but not limited to radio and television broadcasts, podcasts, online distribution and interactive media, community screenings and discussions, in classrooms and libraries, at cultural centers, film festivals, and more. California residency is not a requirement for eligibility. For more information on grant guidelines, application instructions, and a list of previously supported projects, please visit the California Documentary Project grants page. Come do a fellowship up in my neck of the woods! Interestingly, the mentor for this year's fellowship happens to be the subject of this episode of one of my gigs, Revisionist History. Logan Nonfiction fellows at the Carey Institute are provided all the necessary tools to complete their critical work. Lodging, work space, sophisticated technological support (including Wi-Fi, a state-of-the-art screening room and dedicated space, equipment and software for video, film and radio editing) and meals are provided. Fellows may also benefit from the mentorship of Tim Weiner, a Pulitzer Prize and National Book Award winning writer, as well as Carey Institute Vice-Chair Josh Friedman, a Pulitzer Prize winning journalist. 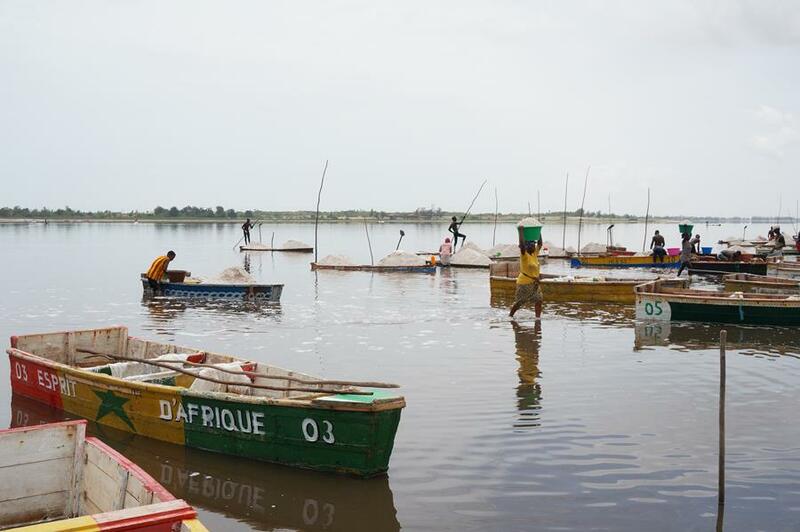 Applications open for IRP reporting trip to Senegal. Details below. Photo by IRP deputy director Glendora Meikle. The International Reporting Project is now accepting applications for a group reporting trip focusing on gender, development and civil society issues in Senegal from November 10-20, 2017. Senegal, one of Africa’s most prosperous and democratic countries, has enjoyed an economic boom since the late 1990s, primarily reliant on agriculture. Political stability, religious tolerance and rich culture bind together the country's 15 million citizens, though large segments of the population lack equal access to economic, health and educational resources. Its capital, Dakar, is the western-most point of the African continent, and standards of living vary greatly between the coast and the rural inland communities. In this context, IRP fellows to Senegal will explore issues that tend to affect women and men differently, including education, infrastructure, agriculture and health. We will especially focus on areas of inequity and the advancement of women’s rights. Fellows on the 10-day reporting trip will look at these issues and many more in Senegal, and possibly spend a few days in neighboring Gambia. We will meet with key government leaders, representatives of non-governmental organizations, members of the education and health communities, religious and media leaders, and others. producers and others. This trip is not open to students. Citizens of all countries are eligible. All candidates must complete an application form, including a detailed essay of at least 800 words describing the types of stories they might pursue in Senegal and which outlets may publish their work. This is a working trip, and participants are expected to produce stories and/or other reported content in the form articles, slideshows, video, audio, blog posts, infographics, social media posts and more. The IRP will purchase the fellows’ round-trip air tickets to Senegal and will pay for visas, hotel costs, local transportation and most meals. Fellows who wish to extend their stay after the fellowship will have the option to arrange that at their own expense. All fellows on the trip are required to participate in the sessions arranged for the group program. Much of the value of a group reporting trip comes from a combination of IRP-arranged meetings and the interactions the fellows have with each other. Some independent reporting time will be included in the schedule. However, if you prefer to have more flexibility in your reporting schedule, we strongly encourage you to extend your trip or to apply for our individual reporting fellowships instead. All stories produced by the fellows will be re-posted on the IRP site after publication and co-owned by the fellow (or his/her distribution partners, depending on arrangements) and the IRP. In addition, the work produced as a result of the trip may be posted on the social media channels of the IRP funders. This trip is supported by a grant from the Foundation for a Just Society (FJS). Read our frequently asked questions and apply for the trip by 11:59PM (EST) on Sunday, September 24, 2017! Check out our website and follow us on Twitter, Facebook, and Instagram for more stories, photos, opportunities and updates! IRP was created in 1998, making it a pioneer in the nonprofit journalism movement that seeks to fill the gap left by much of the mainstream media's reduction of international news. The program has provided opportunities to more than 630 journalists to report from more than 110 countries and produce award-winning stories. In 2016, IRP moved its headquarters to New America, a nonpartisan research institution with offices in Washington, DC, New York, and California. New America is dedicated to the renewal of American politics, prosperity, and purpose in the Digital Age. Our hallmarks are big ideas, pragmatic policy solutions, technological innovation, and creative engagement with broad audiences. Read the rest of our story, or see what we've been doing recently in our latest Annual Report. MacDowell is seeking applications from writers working on long-form journalism projects to apply for a Winter Spring 2018 residency. Journalists should submit an application under our literature – nonfiction category and list the Art of Journalism as how they learned about MacDowell. The application deadline is this Friday, September 15th. The MacDowell Colony provides time and space for artists to work on creative projects. MacDowell has expanded its support for journalists by providing additional residencies and project funding of up to $2,500 in addition to financial aid for accepted artists engaged in long-form journalism projects. Since launching this initiative in 2015, we have provided residencies to more than 30 journalists, including Mario Kaiser, Alia Malek, Jessica Stern, Andrea Elliott, Jen Percy, and Shane Bauer. We've also awarded $13,872 in project funding thanks to a generous grant from the Calderwood Charitable Foundation. the latest offerings from @WritingPadUS with discount for FC members! Writing Pad’s LA, SF, and Online podcasting and radio storytelling courses start soon w/ This American Life’s Elna Baker, Snap Judgment’s Eliza Smith, and Unfictional’s Bob Carlson. Friends of Freelance Cafe get a discount. 15% off the class by using the code FREELANCE. Elna Baker is a Producer and Story Scout on This American Life. She has been on TAL 9 times, she pitches Ira Glass stories every week and has won 8 Moth Story SLAMS! Elna knows what This American Life and The Moth consider to be a worthy story and what their specific format is. If your dream is to create stories for top podcasts/radio shows, this the perfect class for you! Finish 2 stage ready or radio ready stories in class.